I hope you will join us for a look into the Maker community here in St. Louis. MADE STL will be opening their doors for tours and a mixer in their new facility on Delmar, to launch the St. Louis chapter's 2019 events. This will be a casual event to get reacquainted with each other, meet new members and others in the design community and to learn more about how we as makers, artists, designers and entrepreneurs can utilize this local asset. 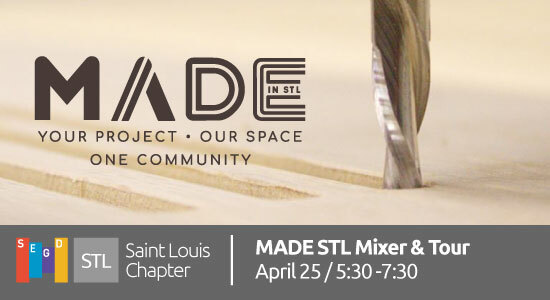 Please join us and invite others to come learn about both SEGD and MADE on Thursday April 25th at MADE: 5127 Delmar Boulevard, St. Louis, MO 63108 from 5:30-7:30pm. 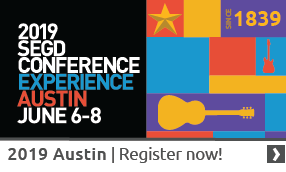 There will be light snacks, beer and beverages provided by SEGD STL.